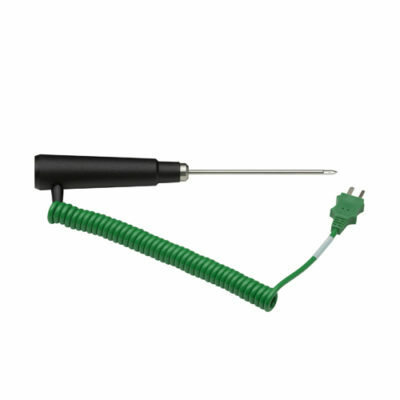 The following selection of Probes represent those that have been defined as being suitable for use with the C28 Industrial Thermometer. 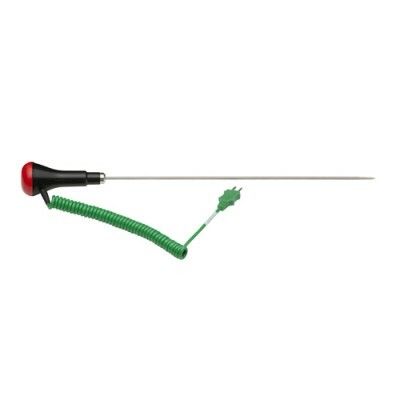 The PK23M Oven Meat Penetration Probe is designed for checking meat and food temperatures during cooking. 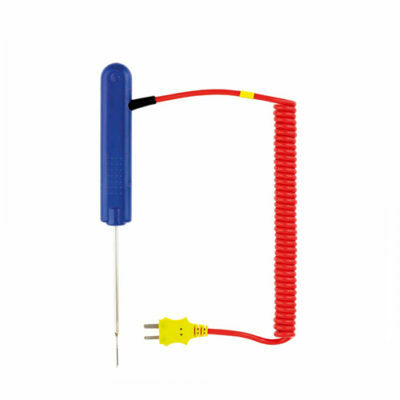 It is fitted with a 2.5m lead. 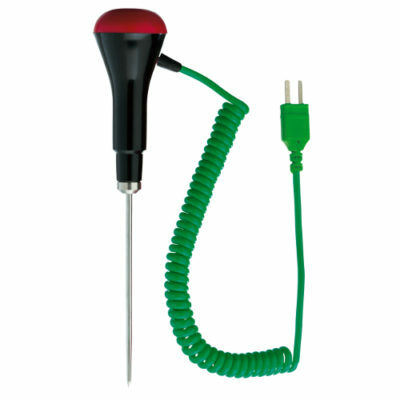 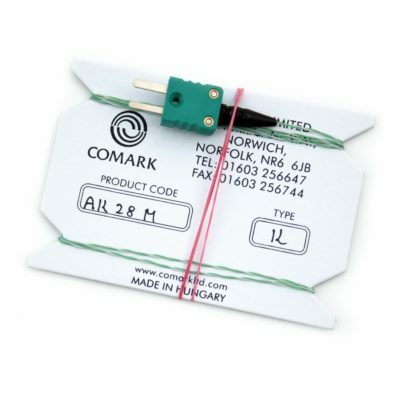 The SK38M Heavy-Duty Pallet Probe with flattened stem section is designed for measuring the temperature between products stored on a pallet, fitted with a 1m curly cable. 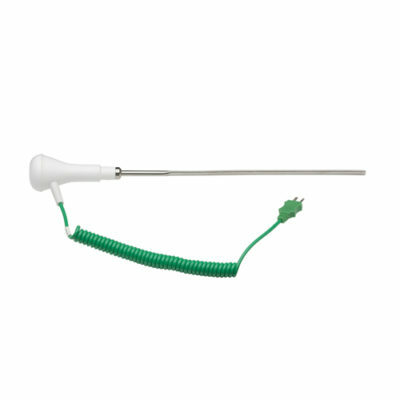 There is also BioCote Antimicrobial Protection in the probe handle to avoid the risk of cross contamination. 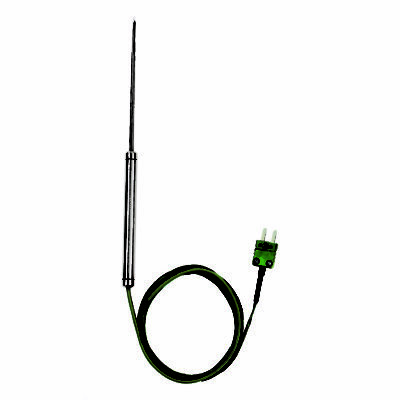 The PK29M Standard Industrial Probe features a long (300mm) stem with (3.3mm) tip and fitted with a 1m curly cable. 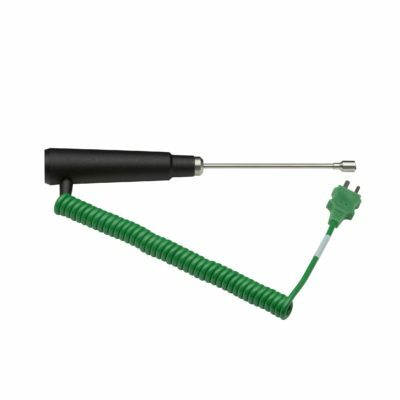 The SK35M Pipe Clamp Probe is designed specifically for heating, ventilating and air conditioning applications. 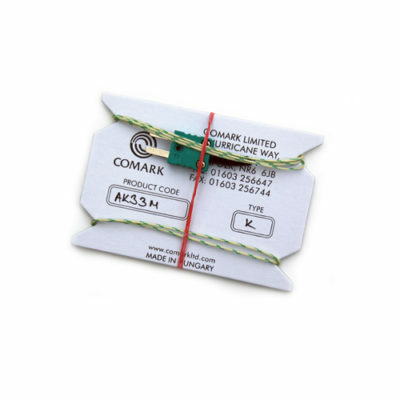 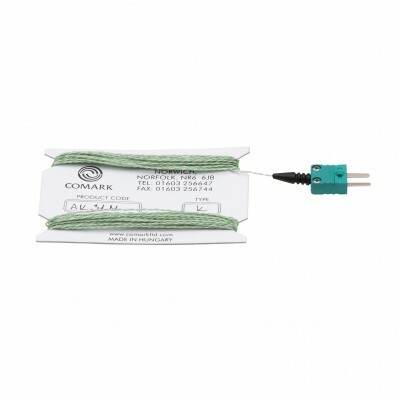 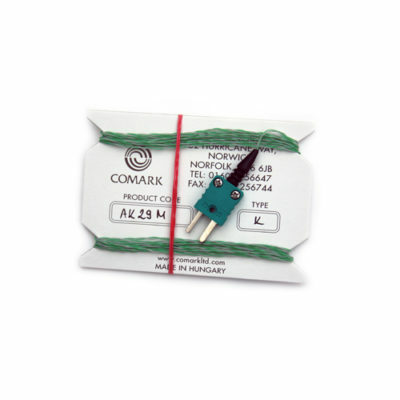 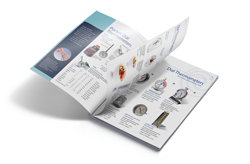 It can be used on 15-38mm diameter pipes and is fitted with a 1m curly cable.